Norwegian street art duo Dolk and Pøbel (‘Dagger and Mob’) made international attention with their recent art project ‘Ghetto Leper’. 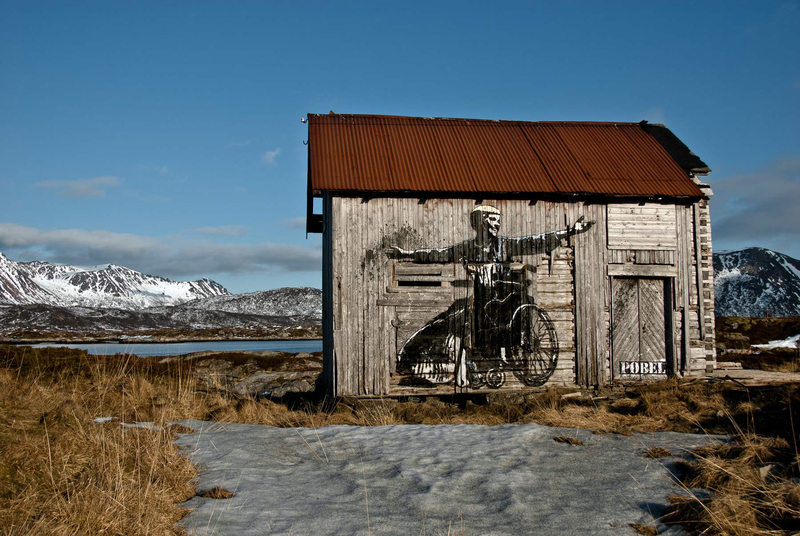 Their art project is based on decorating abandoned houses and farms in the Lofoten Islands, Northern Norway. Due to increased centralization, several homes have been left alone and certain areas lose market value and liveliness. Well, perhaps not anymore! Along with Dolk and Pøbel’s ‘Ghetto Leper’, the region of Lofoten is now getting its renaissance. The area consists of mostly fisheries and export harbors with a limited labor potential, but today the tendency is more cultural initiatives and exploration. 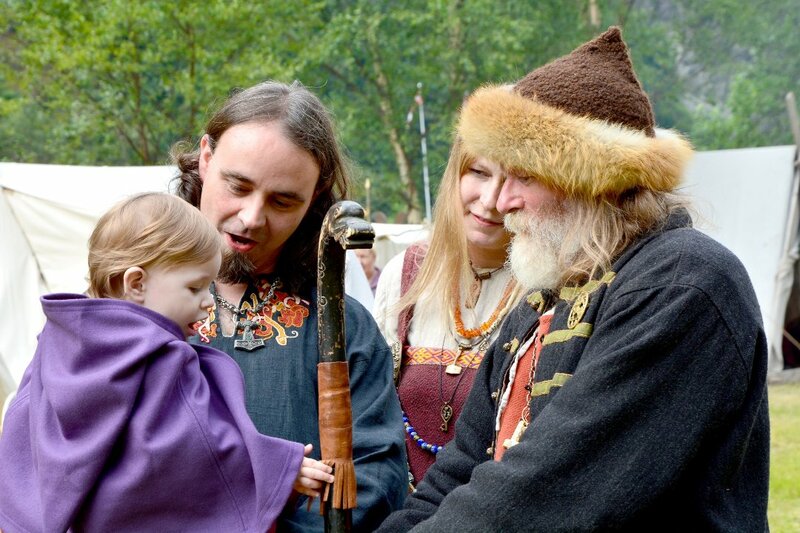 More and more people from all over Norway are now thinking of moving to the Lofoten Islands because of the vivid artistic and rural scene. 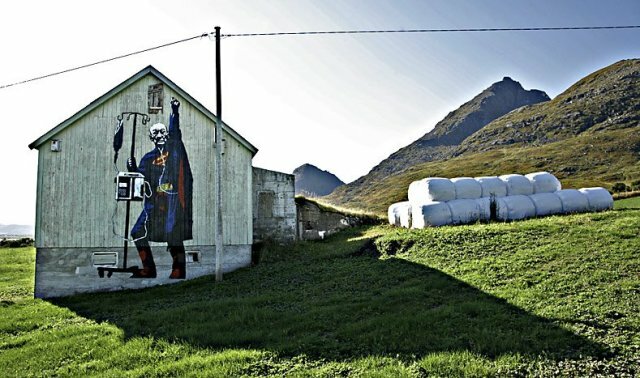 If you ever go to Lofoten, be sure to look for Superman or a young girl picking a gigantic mushroom, or a sailor gazing out to the sea. Using this quirky type of canvas – you just can’t miss it – it’s a spectacular sight!